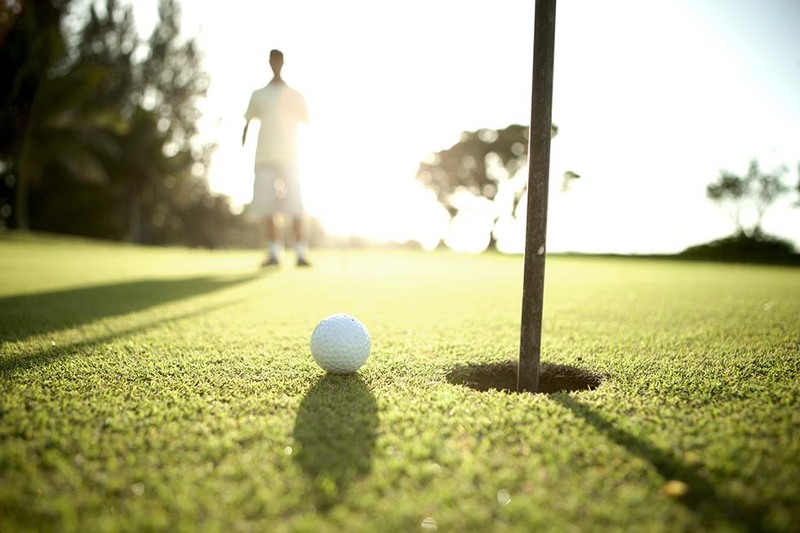 If you are a golfer we have fantastic news for you in our Interview with Rick Buckton. Rick specialises as a PGA golf course designer living in Nevada, United States of America. With his background of being involved in over 25 golf course resort residential developments in the United States and Mexico, our interview will provide you with insight from this highly respected leader of his industry. 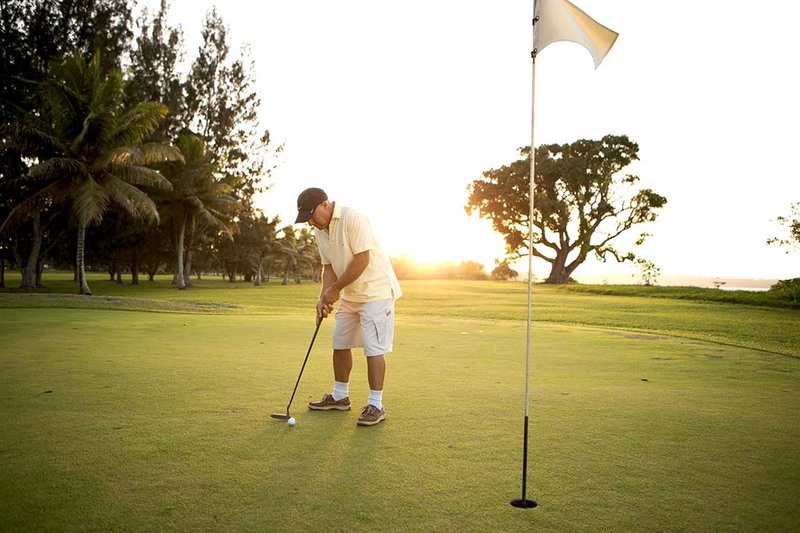 Now he’s preparing and advising developers in the Republic of Vanuatu on incorporating 18-hole PGA golf courses into their residential and resort development designs. In this interview Richard Butler and Brian Thomas, co-hosts of Lifestyles and Real Estate of the South Pacific, uncover some surprising family history of his father serving in the South Pacific during World War II. 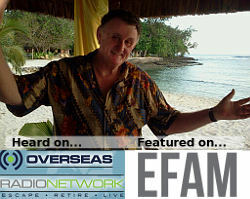 Rick explains that the Republic of Vanuatu is now at a tipping point, with an assured future in tourism. He looks at Vanuatu more than likely the same way as Hilton and Rockefeller were looking at the Hawaiian islands several decades ago before they started building hotel & resort chains that became popular with visitors from around the world. Rick Buckton is the founder of Redstone International and the founder of South Pacific Limited. With a bachelor’s degree in Landscape Architecture Design from California State University he has provided design services to over 24 golf courses and resorts. Brian: Welcome to Lifestyles and Real Estate of the South Pacific. Richard’s joining us today from Vanuatu. And our guest Rick Buckton is with us. This guy, has done a lot over the past 35 years or so, mostly dealing with architecture and golf resorts. Richard: Hey! Well I’m really pleased to get Rick Buckton on the show this morning live. I first met Rick I think approximately 2 years ago in Vanuatu when he came down here to scout out the land and start utilizing his professional background in planning and designing developments. And he’s been planning and designing international master plans and concepts for complete construction documentation. And look I’m singing his praises, I’ve seen his work, he’s a Bachelor of Landscape Architecture Design from California State University. And he’s in Colorado right now waiting to talk to us about his passions; and his concepts and ideas of relocation; and how people can relocate down to Port Vila, Vanuatu where I am at the moment. He’s also the director of South Pacific Limited, you might remember the advisor to South Pacific, George Winslet, we had on the show a couple of weeks ago. George is actually down at the Lands Titles Office right now. He took a great big carton with him down there, so they could print all the titles up this morning for the newest development down here called Le Plateau. Rick Buckton welcome to the show ! So you’re in Colorado right now, and I believe on a development project there, the golf development project which recently has had PGA competitions on it. Could you tell us a little bit about where you are. Rick: Yes Richard it’s called Colorado Golf Club. It’s actually because of Colorado Golf Club and the work that I did there that I was introduced to Vanuatu by one of the members of Colorado Golf Club about 3 years ago. Brian: So how does a person from California Polytechnic StateUniversity a technical, an architect, get into designing golf courses and then at that, championship golf courses? Rick: I was involved in the planning and on the design team. Ben Crenshaw and Bill Cura were the architects of that golf course. And what I did with my degree, its architecture, is basically take the entire piece of land whatever the land is and in the case of Colorado Golf Club, it’s just over 2,000 acres. And I will layout where the golf course is going to go; where all the roads are going to go; where the clubhouse is going to be; where the homes are going to be. It’s really understanding the lay of land. You know if you can read topography and air photos then you can pretty much layout land anywhere on earth. A lot of the stuff, I’m looking at now in Vanuatu is air photos and topography. It is so jungle covered that you can’t walk the land anyway. Brian: But what got you interested? It’s, like when we talk about golfing, especially amateurs there’s a huge passion. Rick: I have that passion for doing golf resorts. But I actually got into it form a different avenue. I became fascinated by the concept of laying out, whether its golf, roads or resorts on land. So it wasn’t because I was playing that much golf, it’s really more my expertise in laying out land that lead me to golf course architecture. Brian: Richard, what’s the real connection between, what Rick does and what’s going on there in Vanuatu? Richard: Well you know Rick owns a company called Red Stone and on his bio, I’ll read it to you if I may. It says the Red Stone’s ability (Rick’s ability) is to integrate land planning with golf course design and providing these 2 significant advantages. And what that basically does, is it maximizes the real estate value while protecting the integrity of the golf course and of course the integrity of the master plan. So what we’ve got is a marriage of real estate, relocation, retirement, a sporting facility. And you know Vanuatu is basically crying out for the professionalism that people, such as Rick can bring to this country. 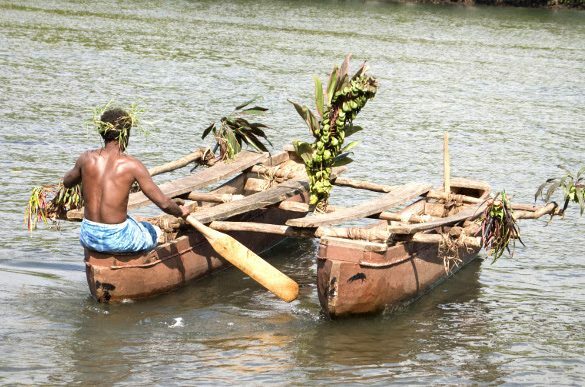 Vanuatu is like a blank piece of canvas, and Rick just basically can do this with modern technology, with Google and all the web assistance in setting out developments and on the computer. 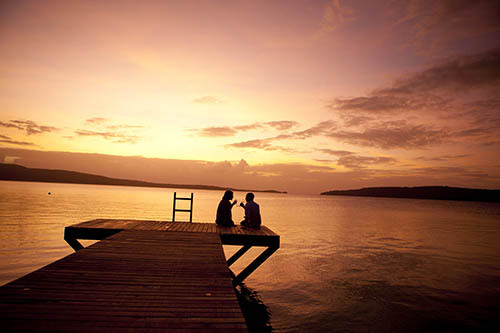 You know this is a marriage that we can actually start developing here in Vanuatu. And Rick’s done some fabulous designs for the new project down here which is called Le Plateau. He’s done Two and a half thousand square meter lots with town water, power and they’ll have tar sealed road! I’m the project manager for the company and will start the marketing of that sometime next week. But we can’t do these projects without importing the expertise of people like we’ve got and then you mix my 35 years in real estate marketing and selling with people like George Winslet who was a pioneer wasn’t he Rick, when he first came here 15 years ago and started setting up Breakas. I mean that was really pioneer stuff. Rick: Oh yeah, absolutely. And I think, even now when you look at it, it’s completely undeveloped. The only way I can describe it is when I was there, about 3 years ago it struck me that there’s this beautiful place that is very accessible from Australia and Asia. 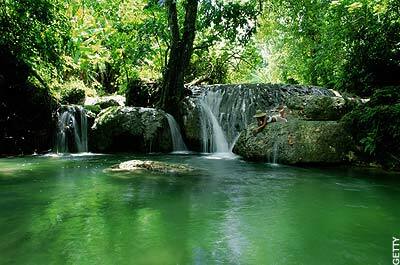 Its like the Bahamas or the Caribbean which is short distance away and is easily accessible from the United States. The difference being that the Caribbean is extremely expensive and very difficult to get development done. 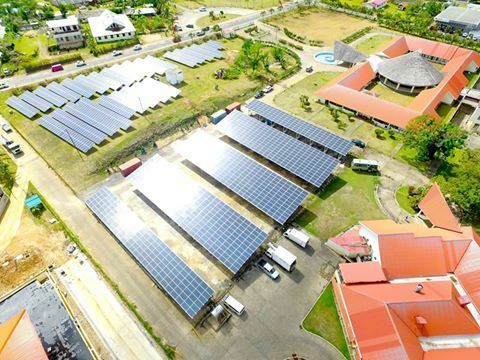 And Vanuatu is very affordable and it’s got a government that is welcoming and very easy to work with for developers and for investment and that’s a huge difference! Brian: Does this help cut your time down because in the space of time it takes in the United States or the Caribbean, to put up a resort, you might be able to put up one and a half or two in Vanuatu? Rick: This project in Colorado took us 3 years just to get the entitlement, meaning the zoning done and in Vanuatu you don’t have the time consuming regulations that you have in most of the world. Brian: We’re talking about setting up resorts on not just one island, but many of the islands in Vanuatu. And these resorts will all have a golf course. Should I say contiguous to it or meandering around where, where the properties actually lie? So you’re working on one project known as Le Plateau. What is it and how have you arranged that? Rick: Le Plateau itself is on land in proximity to a golf course in the near future. But they are large blocks of land in the forest. Some are sitting up high with distant views. Some are sitting down a little lower, but they’re all large enough that you’re not going to see your neighbor. These blocks of land are all capable of being subdivided one more time, or capable of locating 2 to 3 home sites on each one. Yet they are in close proximity to a golf course. There will be some that really have a fabulous golf course and within very close distance you have access to that golf course. 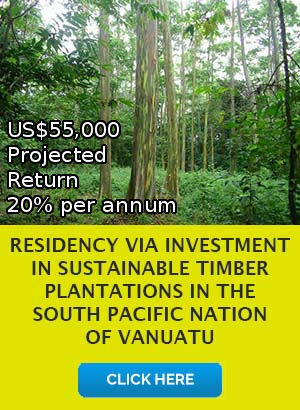 A lot of the Vanuatu projects have ocean frontage with the golf and the homes. In this case it’s forested blocks near a golf course. Brian: What do you consider close distance? Brian: Sounds like you’re right on top of it. Rick: That is close; it’s within the community but not necessarily, on these golf courses. 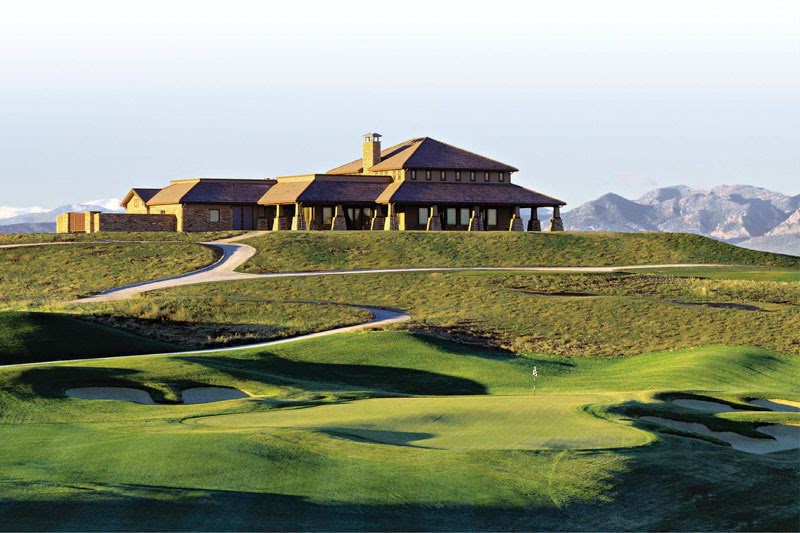 For instance The Colorado Golf Club has one home on the golf course itself. But on the 2,000 acres of Le Plateau there’s 2 to 3-acres blocks of land with larger homes, but they’re all in very, very close proximity to the golf course. That adds value to the golf course and the homes because they’re on or near this great private club. So that’s really more my style than a golf course that’s lined by homes. Le Plateau is part of a master planned area with golf. Richard: What Rick is actually bringing to Vanuatu is what it requires, is that expertise in design and development which Rick has spent decades putting together and that has never been seen down here. And in some places it hasn’t been seen in Australia or New Zealand. I mean we have some great places over there, but he brings a different aspect of looking at these projects which have already been enormously successful. And his track record in America is impressive. Rick: 25 plus in North America; In the United States, Canada and in Mexico it’s over 25. Richard: When you’ve done 25 developments of this size, that’s a lot of money being invested in these projects. And of course they’re designed to stand for long-term. They’re designed for people, to be able to live and enjoy the ambience of the design for many years. That’s what Rick is bringing down here to Vanuatu. 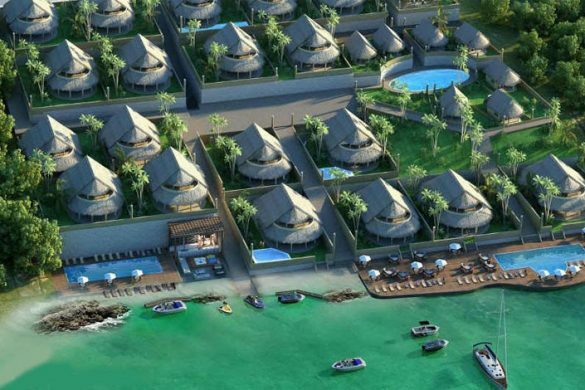 One of the projects that we’ve been working on now, is one with an enormous amount of coastline. With the advent of the new airport coming in, it’s going to make an enormous difference. This island nation down here used to be called the New Hebrides. And during World War 2 the very famous writer, James Michener wrote the book, “Tales of the South Pacific” and it was all about the New Hebrides. I think, because over half a million United States service men passed through here and at one stage the whole 7th fleet was down here in Havana Harbor. Vanuatu and New Hebrides has a very strong relationship with America, and in this case it goes back many years of course. Rick was just telling us about how a member of his family served down here during the war, and also about how Rockefeller and Hilton discovered Hawaii. Rick can you share more about that with us ? Rick: Yes. My father was on the Destroyer Cushing which was the first ship to engage in the Battle of Guadal Canal and it was also the first ship to go down. He was badly injured in fact and in a body cast and I always thought he was in New Caledonia. And then I started talking with him again just over the last few years and he said, “No I was in New Hebrides”, well turns out that was Vanuatu. So that just stunned me. Rick: We had this conversation right before my first trip. I was explaining to him where I was going and, I said Vanuatu and he was not familiar with that and then I said, “Well it’s near New Caledonia”, and he said, “I was not in New Caledonia I was on New Hebrides”, and then I said, amazingthat’s these islands”. But when I explain Vanuatu to people in the United States it’s difficult, because frankly most have not heard of it. A few have because there was a “Survivor” series there. But I’d just say, visualize what you think of as the South Pacific because that’s the way Michener saw it. You know in his book, and then that resulted in the play “South Pacific”. And it’s exactly what you think up. The palm trees, the beautiful white coral sand and the turquoise waters. These are relatively small islands so you don’t get lost you know, it’s just a stunning place. And from my view point, let’s say of having laid out land, you don’t get land like this, you don’t get the opportunity to work with shoreline really anymore. I just don’t know where you can do it and it shouldn’t be mistreated obviously, but it is in fact an incredible resource that Vanuatu has, is their forest going down to these beautiful white sandy beaches; and its undeveloped and still affordable. So that’s what fascinates me about the place. Richard: Well part of your design also with this Le Plateau, is, that Rick’s designed a series of houses that anybody who purchases can go back to Rick and say look I want you to design something for me. I think there’s 5 different designs Rick, is that correct? Rick: Yeah. Well and there may have to be more Richard. The reason we did it like that was because, it’s not like you’re gonna arrive in Vanuatu and a bunch of architects are gonna run up and say hey we’re ready to design something for you. It’s still difficult to find your way around. So, if you buy property in a foreign country it’s really easier if we offer the opportunity to supply house plans and a builder. That way it’s all done, if you want it, and then they can be modified. And it was really meant to help an investor to be able to perceive a product that they can build, understand the cost of building. But mainly, make it extremely simple for them to get it done and not have to do their own research to find a designer, and then a contractor; and so that’s what it was for. It’s because, we are working in a less developed country so we need to make it easy for people coming in. 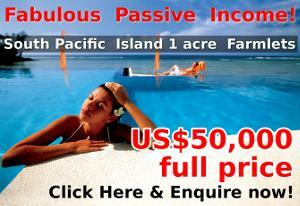 We’ll arrange a flight for them via Fiji Airlines out of Los Angeles to Fiji and then from Fiji to Vanuatu. Three and a half thousand dollars for singles, $5,000 for double and we will fly people down to inspect these sights. And if they decide to purchase the property 3 ½ or $5,000 that they paid as initial transport deposits, that will come off the purchase price. So that gives them the opportunity of being able to fly down and see the land, the sites and the places we’re talking about. And Le Plateau is only 3.5 kilometers from the center of the most vibrant town in the South Pacific which is Port Villa. 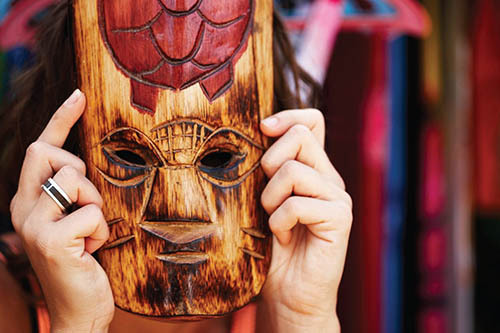 We all have these images in our mind of dusty maidens and warriors and bars with; bamboo bars on the beach; eating crayfish and eating lobsters, prawns; drinking cold beer; and exciting places to go and discover and find and making friends on this Fantasy Island. Well that’s what Vanuatu is like. That’s exactly what happened to me last weekend. I was taken away to an island called Malekula and I was greeted by the paramount chief and I stayed there for 2 days. And they fed me, they became my friends. And Rick found exactly the same thing when he came down. Didn’t you Ric? When you came down with your wife and your daughter you were just saying that, one of the nicest parts of the trip was actually meeting people down here. Rick: Yeah. And just to give a little more background. I went to Cal Poly,San luis Obispo, and so did my wife. She just was there years after I was, and we have similar degrees. In college you get these projects that you don’t really expect to get in real life. And then all of a sudden she and I are working on this incredibly beautiful island. A few years ago, we brought our daughter with us and you can see the beauty of the place in photographs and you’ll almost expect that, but what we did not expect, and this is what we were most struck by was the people that are there. I mean they are genuinely nice, kind, gentle people that it doesn’t feel like when you go to other tourist places where they are being nice to you because they have to. I think here they are extremely nice to you because that’s what they are, and what we still recall is the nature of the people in Vanuatu. Richard: When I left the village on Sunday morning they all came out to wave goodbye to me and what the paramount chief’s wife, Ida, she kept saying sorry, sorry about 10 times. Richard: I said there was nothing to be sorry about. Then she said, “No, we’re sorry to see you go Richard. You come back”. And George who we talk about, is actually down at the Lands Department as we talk printing out the Titles for Le Plateau. So I can sell them. You know George’s catch word or his mission word for the project he built, breakers down here, which is on the beach, has a bamboo bar and you can drink the cold beer called Tuska. When you walked in, the mat said welcome home. So in other words we welcome you back and we want to see you come back. And with tourism down here, the average tourist stays 9½ days. And at the present time 80% of the people who come here are from Australia. 20% spread between New Zealand and the rest of the world. So we have an amazing market to go to. 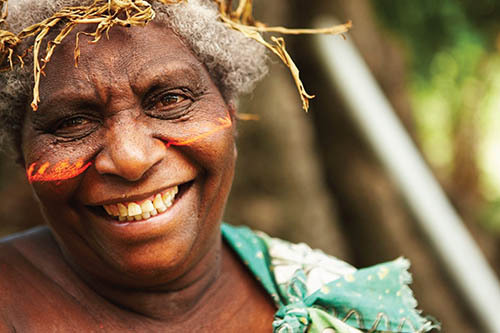 But of the 100% of people who come to Vanuatu, the return figure is 70%. 70% come back for another trip. And you don’t go back anywhere if you don’t enjoy yourself. So that’s probably the best recommendation I can give to anybody that’s listening. 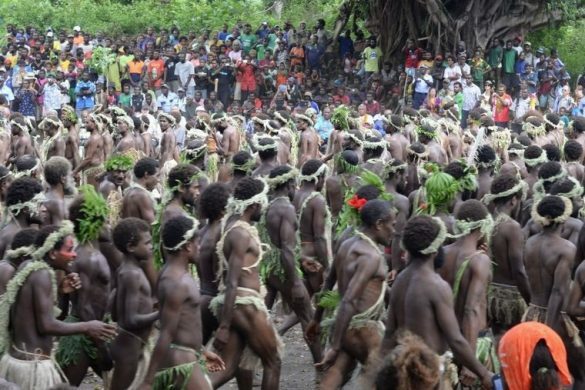 That 70% of the people who come to Vanuatu come back for a second stay. Rick: I’m actually surprised it’s as low as 70%. Honestly Richard because it was just a stunning place and you have to be there to understand. You hear us talking about it but you can’t get it until you’re there. Richard: Thank you for being involved in these projects down here Rick because this is the opportunity for investors. One could actually go and buy a block of land now or very shortly within a week. And you can cut it up, subdivide it into maybe two or maybe if it’s large enough if they’re 3,000 square meters into 3 blocks of land. And you could buy this as an investment. But come and build a lovely home for yourself like Rick and his wife will do for his holidays. And then when you go home you can hand the key to the real estate staff down here and we can rent it out for you to holiday makers coming from all around the world. Every time we have a holiday here, we are 100% booked out. If you don’t book your holiday down here in school holiday time at least a couple of months before, you’re going to have trouble getting into the resorts because they’re booked out. And we run the resorts at less than peak; the good resorts are running 85 to 95% occupancy all year round. We only have 2,000 hotel rooms down here and the marketers of holidays say that we need another 2,000 rooms immediately. Not for whats’s coming, just immediately we need another 2,000 hotel rooms. So, when something is scarce and need is growing and there’s demand, well then obviously that’s when prices increase and that’s what happening in Sydney, Australia with the prices there. Developers stopped developing mainly because of the GFC. There’s more demand than there is supply and that’s what’s happening in Vanuatu at the moment. Rick: And the new airport Richard is going to increase demand further. Richard: A $350 million worth new international airport is being build. And the upgrading of the other 3 international airports we already have, we’ll go from 170,000 visitors a year coming by plane, up to one million or two million visitors a year or more. Rick: And Vanuatu is about the same distance from Hong Kong as is Hawaii that’s the thing. Brian: That’s interesting. Hey Rick I want you to do something. Richard talks the international language. I want you to Americanize the square footage of the property and also the dollars and cents of what the acreage would be. Could you do that please? Rick: Well. It’s 45; see the definition of the peninsula is, I don’t know the total acreage or hectares of it. But, it’s about 45 hectares. Richard do you know how many, what the exact acreage of that is? Richard: Not exactly but it 148 times say 2.5 acres. So you know 350 acres or something like that. Richard: These blocks are going to be sold around 55 to 75 or 95 or 115,000 USA dollars. And we are going to have a special assistance package for people to get started on no deposit as well over a period of 12 months with interest free component. But we’ll tell the listeners about that at a later time when we get out. It’s a fabulous opportunity for people to have an investment outside of the states or outside of their country in a place which also, we haven’t told the listeners Ric. There’s no income taxes, no corporate tax, there’s no death duties and there’s no Antex down here. So if you bring your business down here and you start working, all that money that normally would go to income tax and corporate tax you’ve got to use year, after year. We do have a VAD tax, 12 ½% used to pay VAD tax. But yeah, no income tax, no corporate tax and no winter. Rick: Brian to the blocks of land that we’re talking about are about our average say about 25,000 square meters which is little, they are well over half acre is what the size of these lots are. Brian: Okay over half an acre. And you were saying before you could put up to 3 properties on that half acre? Rick: Yes at least 3 homes and you can subdivide them into two blocks you could buy one, keep one and sell the other. Brian: I really want to thank Rick for being on the program today. His website is Redstoneii.net. If you’d like to send Rick an email it’s his name at Gmail dot com, that’s ricbuckton@gmail.com . Richard I really loved hearing from Rick, but one of the better programs that we have strung together over the past couple of months. And he has a lot of insights and he’s going to bring a lot of value not only to the show but I believe to the Republic of Vanuatu. Richard: Yes and you know he’s a bit of an unsung hero at the moment as well. 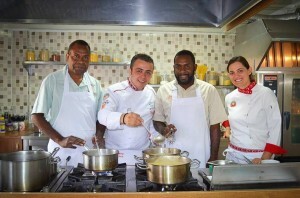 Very few people understand the enormous ability that Rick has and what he brings to the development of Vanuatu. It’s what, he will be recognized for. And of course obviously it’s a very small circle. You know real estate didn’t know about Rick for the moment except for the show. He’s not recognized yet. So I was saying to you before we started the show that doing these developments is almost like looking at an iceberg. 90% of it is underneath the water and you can’t see it and only 10% is on the surface. And that’s what the sort of development time frames that continue down here. 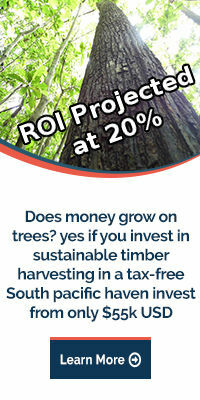 People like Rick and George Winslet, the advisor to South Pacific Limited; myself as project manager and the marketing. I mean collectively, Rick’s 61, I think he said he was. Collectively we’ve got 125 years of real estate development. 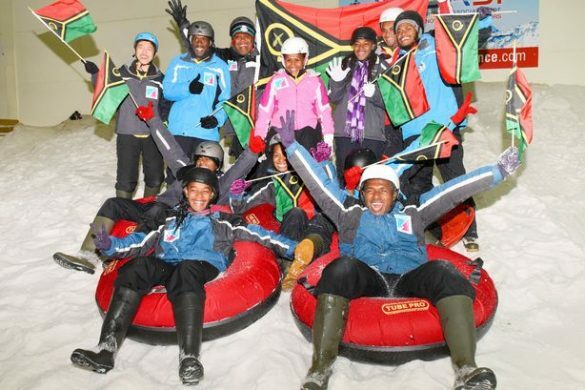 And we bring that or we encourage that to be brought to Vanuatu, for other professionals. 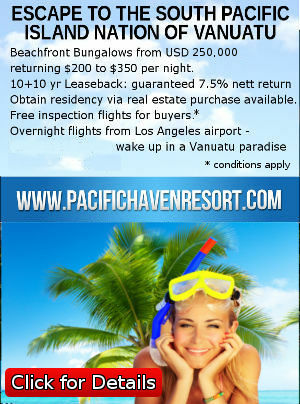 Come and have a look at Vanuatu.